Prakash Padukone needs no introduction, being perhaps one of the finest badminton player that the country has produced. Learn how to swing your baddy racquet from the best in the game at the Prakash Padukone Sports Management. Set up 15 years ago by badminton players Prakash Padukone and Vimal Kumar, the Prakash Padukone Sports Management has been churning out many fine baddy players ever since. 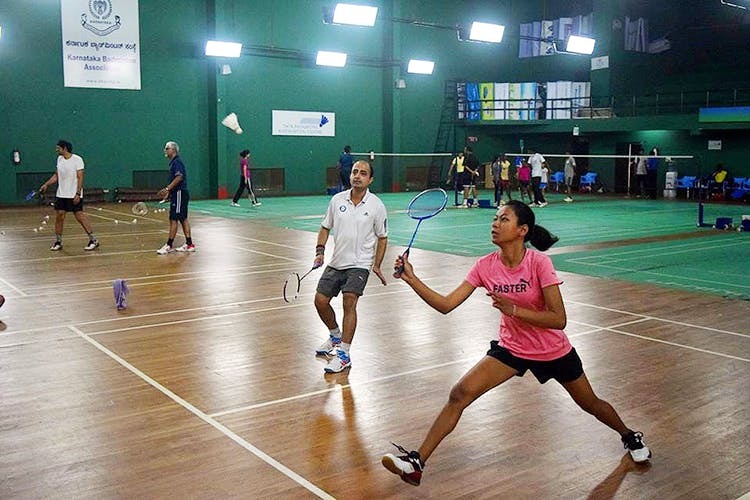 With an aim to popularise the sport and offer world-class training to badminton players of all age groups and levels, the sports management platform nurtures any talent and passion their students might have. If you’re looking to brush up on your badminton, what better way to go about it than having some of the best trainers coach you in a format set up by badminton legends. The classes for kids and beginners focus on the basic and makes sure your foundation is strong. Perfect your footwork, stroke play, technical skills, serve, attack and defence skills before progressing to stroke practice, multi-shuttle drills and shadow practice that you will get at their intermediate and advanced classes. You can check their classes and schedules on their website here. Priced at INR 10,000 for 3 months of training, you can also sign up for their annual programmes too at a discounted rates. With regular classes conducted for children, adults and intermediate and advanced batches, pick a group and pace that works with your skill set. And if you’ve got what it takes, you’ll get the chance to train at the Prakash Padukone Badminton Academy which is a centre that has produced players like Lakshya Sen, who is the world’s No. 1 Junior badminton player and Rahul Bhardwaj, who has many international wins and accolades to his name. The Academy has set up It’s best to start learning early, so sign up the kiddos too. But it’s never too late to learn it yourself, so get your sports shoes on and get to smashing that shuttlecock over the nets.